Marszy: My First Crocheted Mary Jane Slippers - yay!! My First Crocheted Mary Jane Slippers - yay!! this free pattern is not for resale. All rights reserved. No part of the pattern may be reproduced in any form. The written instructions, photographs, design, and pattern are intended for personal, non-commercial use only i.e. you are not permitted to sell any items made using this pattern. I clearly got the picture and CLEARLY knew I DID NOT want to be guilty of copyright infringement. 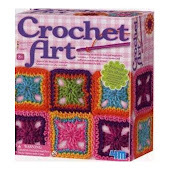 So God bless all you wonderful crochet-ers out there and much success in your pattern making and free distribution. So as I sat and pondered the idea I most avoided, creating my own pattern(s), I decided what the heck, and went for it! After seeing a few of the 'untouchable" pics of crocheted Mary Janes, I decided to do away with them all. I already knew how to crochet, single crochet, double crochet, create designs etc. And yes! An Epiphany! I would pull from my own bucket of talents and creative thinking and make an Adult Mary Jane Slipper Darnet! and so I did. So now since I have my own pattern, guess I too will join my crochet colleagues and copyright it as well (I laugh a bit)- Wha La, a crochet diva has been born. Well I have more crochet adventures to discover - toodles for now.